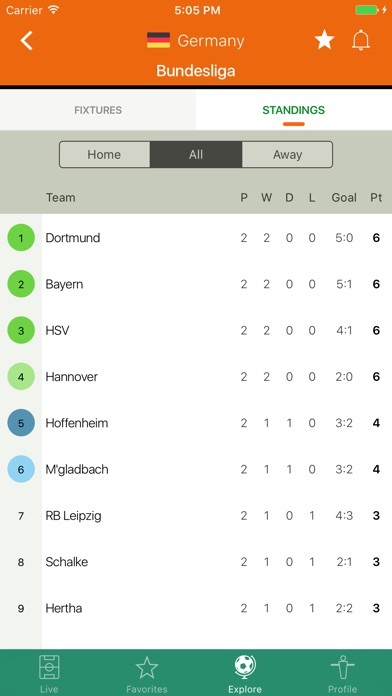 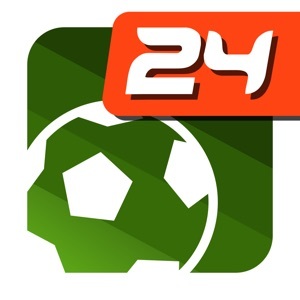 Futbol24 is all new! 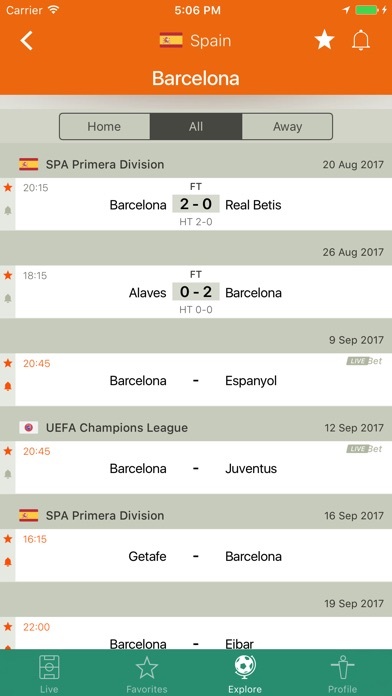 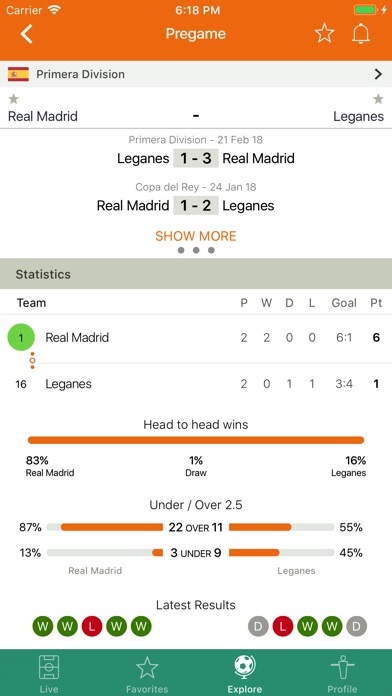 The fastest and most reliable application for live football games is back with a new graphic interface and better navigation, enjoying over 800 football competitions around the world! 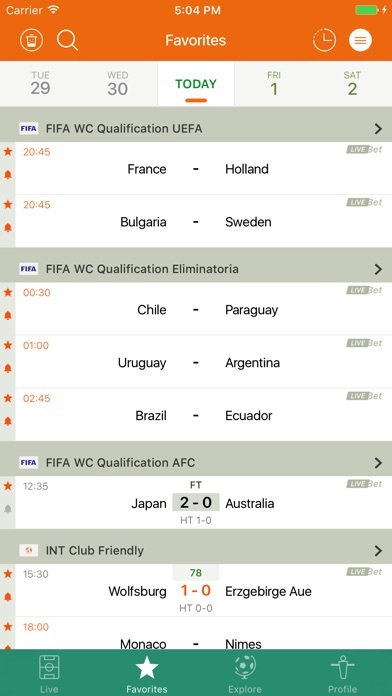 LIVE - Add a game to your Favourites with a Swipe - Title tap to filter the competitions you want to follow - Team name tap to access extra information - Use the navigation buttons to organise games list - Watch the game stats and guess your prediction FAVORITES View all the games you've added to your Favourites, including those belonging from favorite teams and competitions. 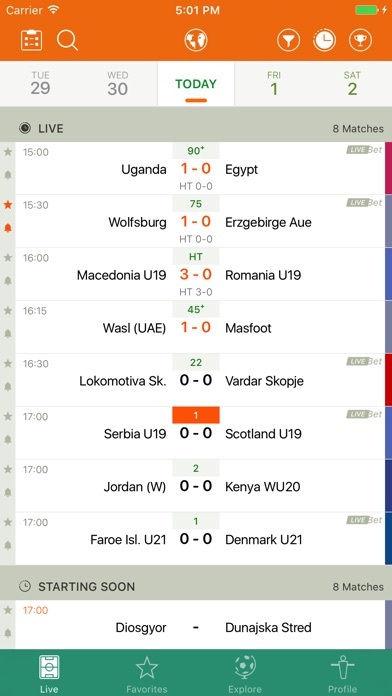 EXPLORE - Search and add Competitions / Teams to your Favourites - Competitions and Teams Fixtures PROFILE - Configure and customise default notifications for Teams and Competitions - Choose the alert type, sounds, vibrations and customise the events - Customise your preferences for your unique Futbol24 experience!